We’ve gotten several requests + questions about the banner I designed + hung up for Em’s birthday party last year. Good news! On Hellobee, you can find a pink version and a blue version to download. 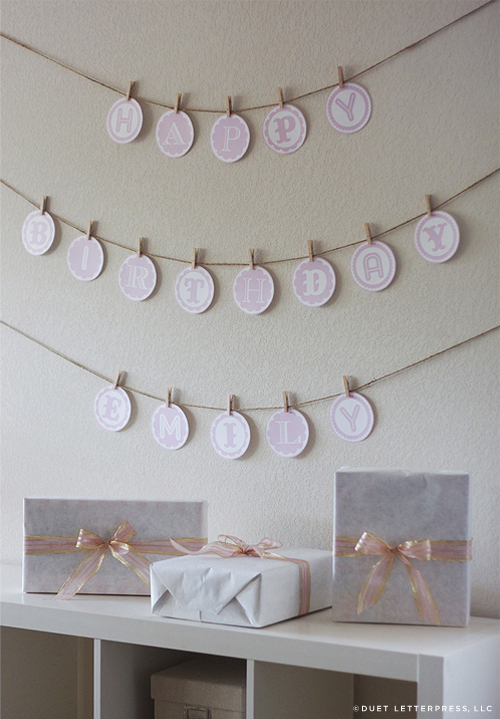 The banner simply reads “Happy Birthday” and I’ve included super easy instructions, too. Enjoy! This entry was posted on Wednesday, January 11th, 2012 at 12:06 pm	and is filed under design, printables. You can follow any responses to this entry through the RSS 2.0 feed. You can leave a response, or trackback from your own site. I love your work. This banner is super CUTE!!!. I love the font you use for the H in happy. By any chance can you let me know what the name of that font is. Thank you so much.